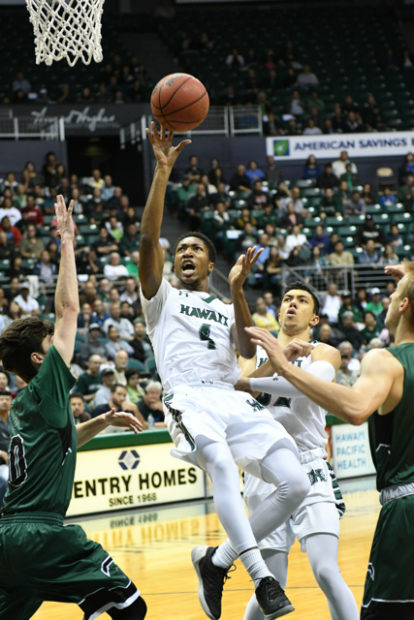 Two players from the University of Hawai’i basketball team have entered their names into the NCAA transfer portal. Juniors Leland Green and Brandon Thomas are among the names on the long list of players from NCAA Division I schools seeking to transfer to another school for next season. Green, a 6-foot-2 guard from Los Angeles, Calif., played three seasons for the Rainbow Warriors. He appeared in 84 games as a Warrior, averaging 5.1 points and 2.1 rebounds per game. He had his most productive season as a freshman, averaging 7.0 points and 3.5 rebounds per game as a part-time starter. He played with a shoulder injury during his sophomore season and underwent surgery for it prior to his junior season. His playing time diminished this past season, though he played a key reserve role late in the season, when the Warriors climbed to fourth place in the Big West Conference. Thomas, a 6-4 guard from Tarzana, Calif., played two seasons for the Warriors after transferring from Riverside City College in 2017. He is the younger brother of former Warrior Mike Thomas. 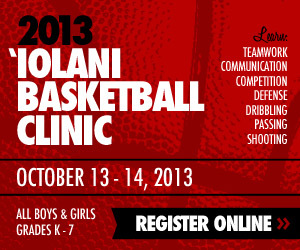 He averaged 1.6 points per game in 36 appearances during his two seasons with Hawai’i. He was in the starting lineup for the first three games of the 2018-19 season, but his playing time lessened shortly after that. He did not play in any of the team’s final six games. 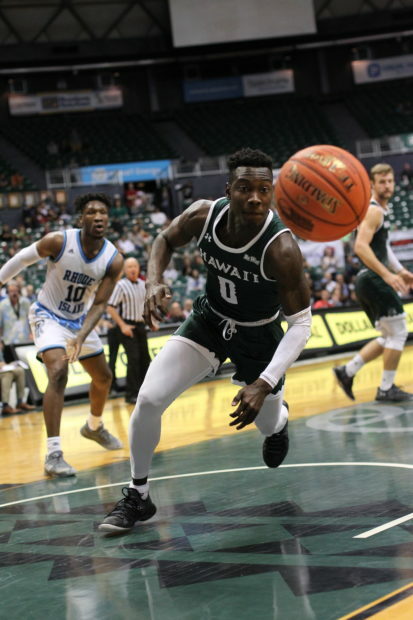 The pending transfers of Green and Thomas mean the loss of five scholarship players from the 2018-19 Hawai’i team. Sheriff Drammeh, Jack Purchase and Brocke Stepteau are departing seniors. The only signed recruit so far for the 2019-20 season is 6-foot point guard Jessiya Villa out of Kahuku High School. He signed with Hawai’i in 2017, but has been serving a church mission for the past two years. The next signing period for new recruits begins on April 17. I hope this turns into a addition by subtraction. The main thing now is for Ganot and Co. to find better replacements. Green showed lots of potential his freshman year but I don’t know what happened after that. I don’t think it was all about his shoulder injury. He looked like he wasn’t into it this year. Hope recruiting turns around in the right direction. We really need some help filling out this roster if we want to keep up with the other top schools in the Big West. No excuse why we shouldn’t be competing for a championship every year. We only need five really good players. Five players ready to play this year. This coach has been lucky to attract 1 maybe 2 good recruits per year thus far. It will be more like subtraction by addition if that makes any sense. It says a lot when the news reports that UH offered a recruit and he turns around and says that he has narrowed his choices to Seton Hall, SMU and UNLV. Do you think that a convo was held with him and the departing players? Recruiting was not made a priority. Hard to sell playing here at Hawaii when the program has been one and done for the last 3 tournaments and, from the looks of things, will be like this for years to come. Next to leave… Drew? Has his redshirt year left and can transfer to a school where he will still manage lots of playing time and a better shot at winning in the post season tournament. Maybe his home town of Long Beach. Samuta? Strong family ties is probably the only thing holding him back. One of the 7-footers? Difficult to manage playing time when there are 3 of them. Don’t think Buggs has a redshirt year left. Oh, it’d be nice if Buggs still had his redshirt year, but he doesn’t and he’s always appeared to be all about the program. Plus, the starting PG job is his to lose. Sophomore Isiah Small 6-8 180 from Seward county CC has Hawaii as a finalist for his Top 3 per his instagram.